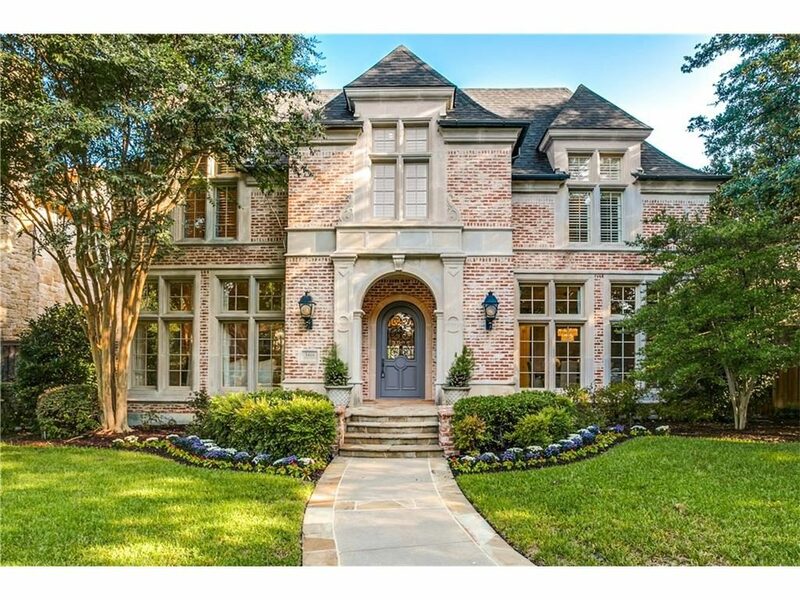 The home of Kathryn and Hal Cook at 7000 Baltimore is on this year’s Park Cities Learning Differences Association Pool and Garden Tour on April 26. Ever wanted to get a closer look at the landscapes of the Park Cities? Here’s your chance to see two amazing University Park gardens to benefit the Park Cities Learning Differences Association. Their hosting their 41st annual pool and garden tour on Thursday, April 26, from 6 to 8 p.m. This year’s tour will include stops at the homes of Kathryn and Hal Cook (7000 Baltimore) and Susie and Mark Barnett (6767 Turtle Creek Blvd.) — both of which are absolutely stunning! If you saw a huge tent going up on the football field at SMU right behind Highland Park United Methodist Church, last week, it was not a new athletic practice facility, but it was certainly large enough to be one. The tent was for the Schlegel-Kloewer wedding reception Saturday night. And lest anyone thought this event for Allie Beth Allman realtor Kari Schlegel — now Kloewer — would be more subdued than sister Kim Schlegel Whitman’s gala wedding of 2005, guess again. Though it was not a “morning(noon)-plus-all-day” wedding like Kim’s, Kari’s was every bit as over-the-top, but the emphasis on family was front and center. About 900 guests filled every seat in the church, then ambled “across the avenue” for the reception which lasted way past 1:00 a.m. The Dallas Symphony Orchestra must now be on retainer for all Schlegel family weddings, but this time the performance was in the sanctuary of Highland Park United Methodist Church with direction by Jaap van Zweden, rather than at the Meyerson. Pastor to former president George Bush Mark Craig again officiated, and Kari’s sister’s were her matron/maid of honors — Kim and Krystal. (Kim was teary-eyed the whole day! )¬† Then came ten bridesmaids, three honor attendants, and three junior bridesmaids. (Kim had twelve.) Kari’s signature color was elegant silver-gray; bridesmaids wore that tone of strapless gowns with jeweled bodices, matching the ribbon color on the invitations which were hand-tied and hand-delivered in a silver-gray satin-covered box. Flowers were pure white. Thank God Troy comes from a hearty family of good-looking, football-playing Iowa men — two brothers were best men, and one was in the groomsmen party along with new brother in laws Kirby Schlegel and Justin Whitman. Kim and Justin’s five year old J.R. was ring bearer, and he walked down the aisle ringing a bell right before the bride, which evoked laughter from the audience. Details of the dress (and reception) forthcoming, but it was strapless, sparkly and featured a train about as long as the church. Troy, 36, is a long time friend of Kari‚Äôs brother Kirby and brother-in-law Justin Whitman,¬† and he proposed to his love during her family‚Äôs annual trip to Canada AT THEIR SECOND HOME! (Though I’m told that prior to this, on a vacation to the Bahamas, Kari was teasing Troy by playing the Beyonce Knowles song “If You Liked It Then You Shoulda Put A Ring On It”.) Last July 1, on Canada Day, during a romantic walk along the beach, Troy popped the question. When the happy couple returned to the family vacation house, everyone was gathered for a champagne toast and gourmet dinner, followed by a fireworks show under the stars. Troy is a regional sales manager for John Paul Mitchell Systems. Those fireworks were only the beginning! It’s Kari Schlegel’s Wedding Day! The British Royal Wedding was just a week ago, but we are having our own Royal Storybook Wedding today in Dallas as Kari Schlegel weds that adorable Troy Kloewer. It is no secret that young Kari, 26, has proven to be a real estate dynamo rivaling the most seasoned agents. She’s got a $13 million dollar listing on Audubon Place, and of course her own Victory W penthouse condo, and a dynamo team. All of which makes me wonder if Troy is going to be living with Kari and Kirby at the gorgeous 29th floor condo, now reduced to $10, 000,000. from 11,750,000. (I will try to find out at the wedding tonight!) That penthouse is dee-vine, and with 12,000 square feet, there’s plenty of space for everyone! By the way, Kari is a top agent at Allie Beth Allman and an M.B.A. student at S.M.U. But there is no doubt Kari’s wedding will be her performance, and not a split second less gorgeous, elegant and incredibly memorable than Kim’s.¬† Besides, I hear Kim’s planned it all. Our Royal Dallas wedding!